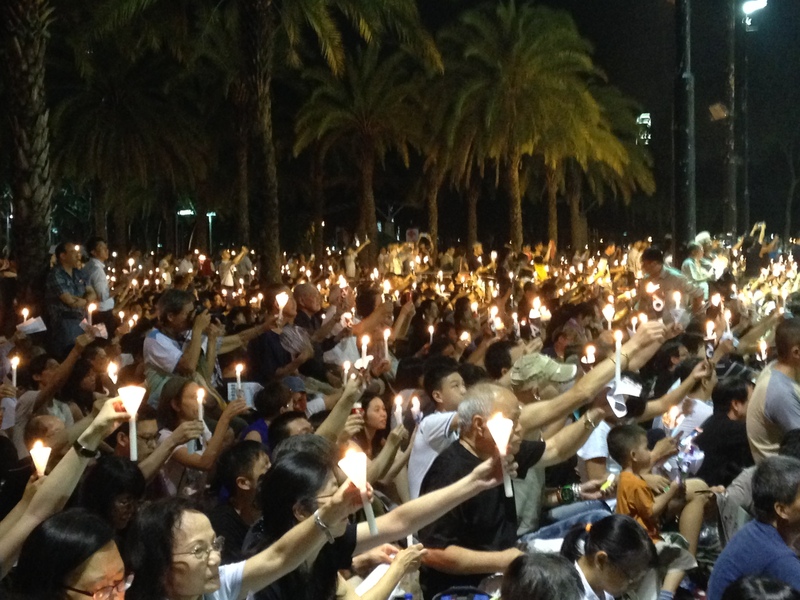 There are some amazing photographs at Business Insider from last night’s candlelight vigil in Hong Kong commemorating the June Fourth anniversary. Mine aren’t quite that good! But I did my best with the tools I had (a Canon PowerShot and my iPhone). 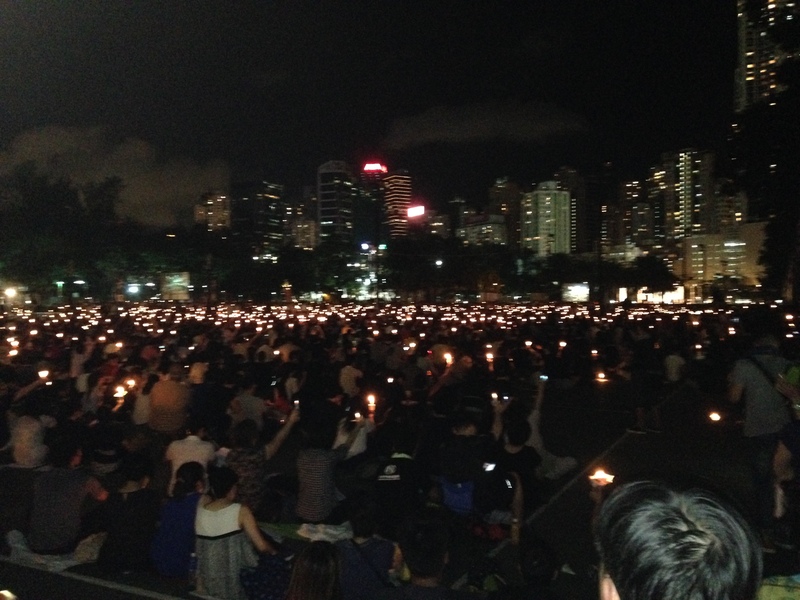 I arrived at Victoria Park at 6:30, with the vigil scheduled to begin at 8pm. 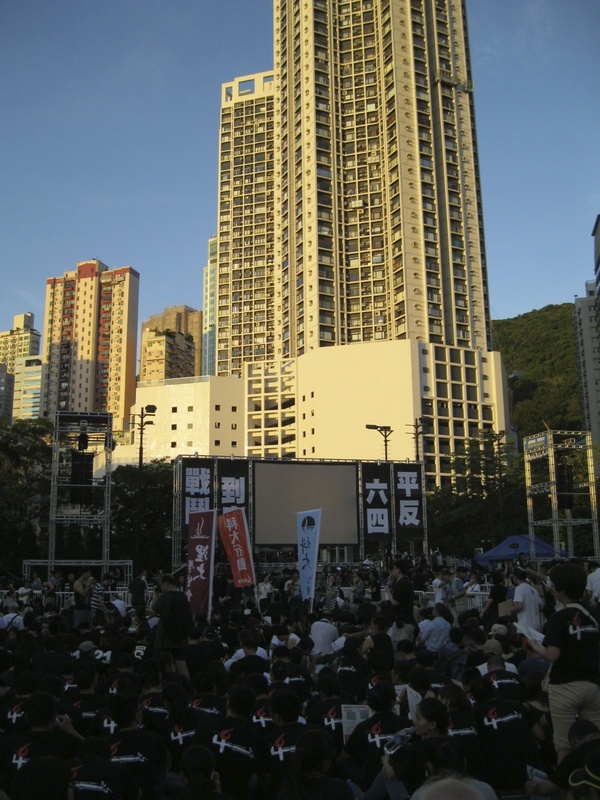 Thousands of people were already there, and the two soccer/football fields closest to the stage were already full. Although the weather forecast had been calling for rain and thunderstorms on Wednesday, the night turned out mostly clear (and VERY hot). 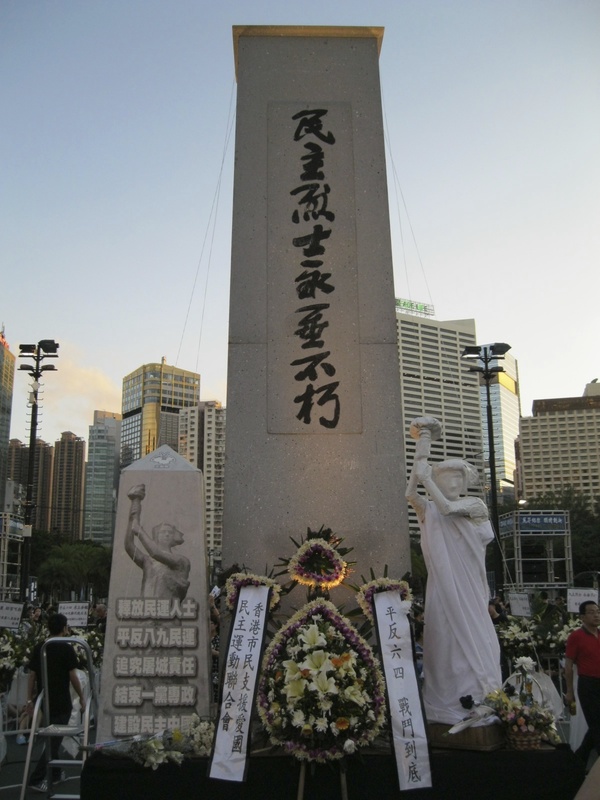 In the middle of the assembly space there was a small replica of the Monument to the People’s Heroes, the original of which is in Tiananmen Square and served as both the symbolic and literal center of the 1989 demonstrations. There was also a model of the Goddess of Democracy standing to one side of the monument and flower arrangements in a circle around it. A band played on the stage until 8:00, when people began lighting the candles that were being handed out at the park entrances. Unfortunately, none of my photographs really captured the dramatic contrast of the thousands of candlelights set against the darkness of the park. But it was an amazing sight. 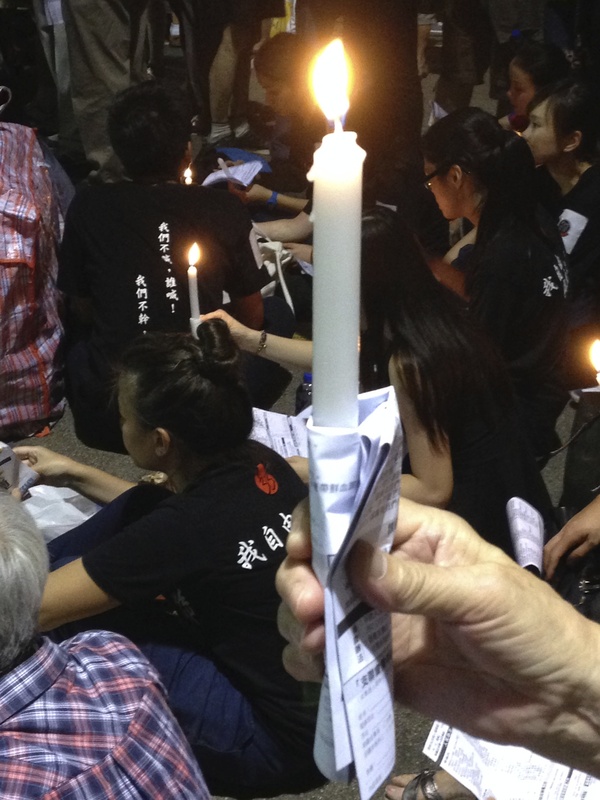 The South China Morning Post has a story about the vigil, and you can see part of an interview they did with me in the embedded video. More to come, but first I need to hopscotch my way across the Pacific from Hong Kong to Los Angeles.